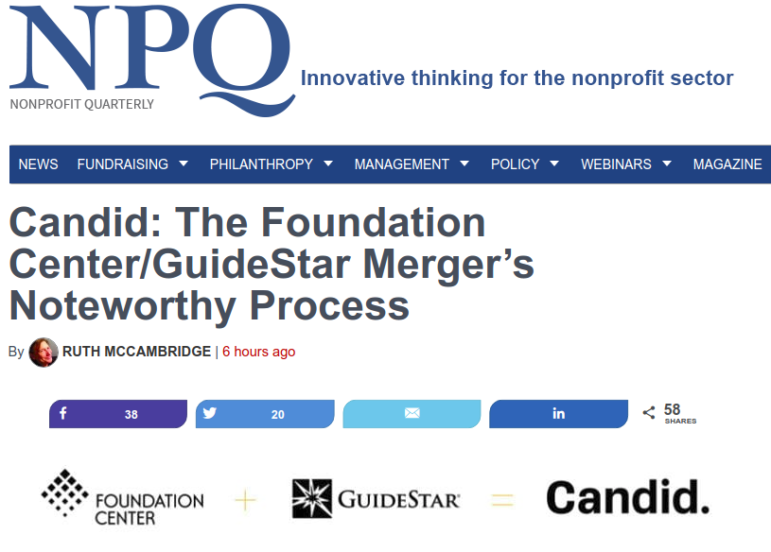 The free non-profit document search engine GuideStar is merging with the Foundation Center — which has been gathering documents on foundations since 1956 — after a decade of getting to know each other. The current web addresses still work but eventually they will be at https://candid.org/ where there is more information on the merger. The Non-Profit Quarterly featured a story on the history behind the merger.